My post today is my DT project for the new challenge starting over at the Cards Galore Challenge blog and the theme is 'VINTAGE'. I used the stamps to create a scanned imaged and then printed this onto a faded yellow background in a brown coloured ink. I was able to digitally distress the edges of the image to help pop the colours a bit. I am still without my full crafting kit ( still waiting on the paperwork on the house to be completed) but I thought a mixed -media type of project might fit the bill here. The printed base was then adhered to a standard A6 white cardbase. 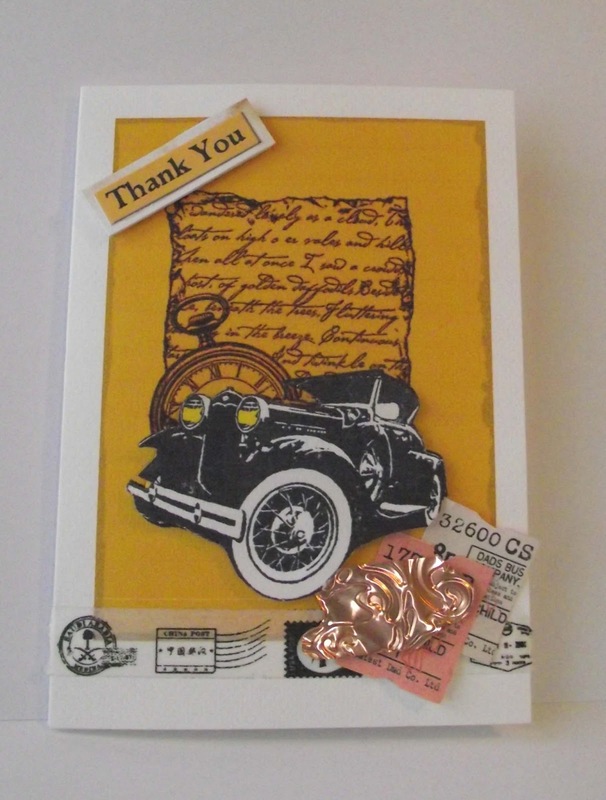 I used a second image to create another layer and decoupaged the car on top on the back ground image. For a bit of contrast I added some yellow to the headlights and gray tones to the wheels and chrome using my Copics. I printed the sentiment onto a similar coloured background and popped it up on a white trim and sticky fixers. For extra detail I added a torn strip of Washi tape across the bottom of the card along with some tickets I got with a Freebie disc I got with a card magazine. My final embellishment was made using a copper plant tag that I ran through my BIG SHOT with a Sizzix Letterpress embossing plate. I cut the piece I wanted and adhered it to the front of the card. I had this idea since I saw the copper tags in the local DIY store and saw how soft the metal is and how malable. I have used other embossing folders with the copper tags and the results are great. Just something different you can do with everyday bits and pieces. 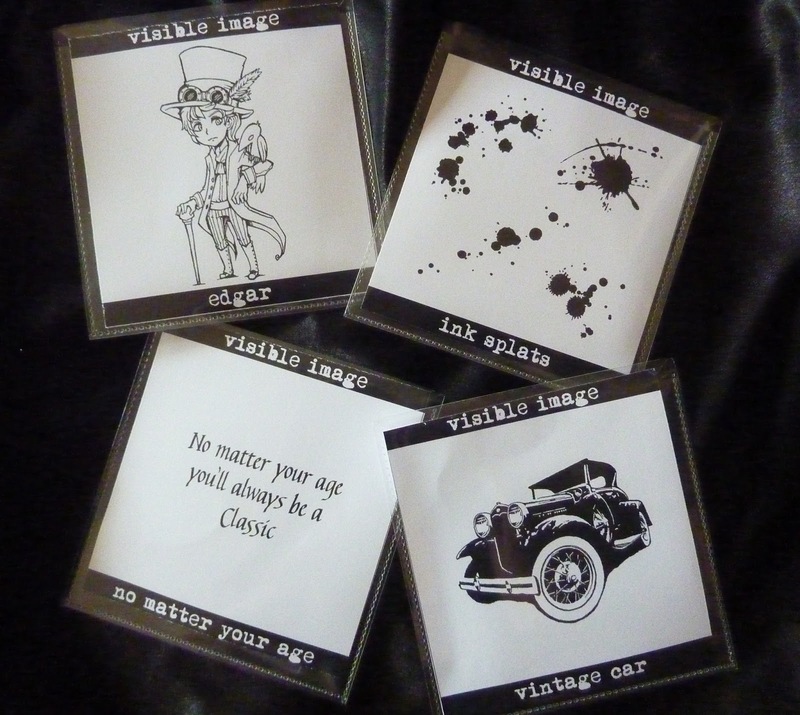 The Cards Galore Challenge starts to day and there are some wonderful Vintage themed DT projects on the blog to inspire you and get the creative juices flowing. Pop over to check out the site and have a go at this very popular theme. You can enter as many time as you like, link your entry using the link tool provided but please don't back-link to older projects. And ...remember to have fun. Thanks again for taking time to visit and read my blog, your time and comments are appreciated.